The Bagri Foundation was proud to be a Major Sponsor this year of the 18th River to River Florence Indian Film Festival, the oldest festival outside of India dedicated to Indian cinema. The Festival took place from 6 – 11 December at the Cinema La Compagnia, Florence and other venues around the city. We were delighted to attend the opening events last week. The 2018 edition took place under the aegis of Fondazione Sistema Toscana and the Patronage of the Embassy of India and marked the 70th anniversary of Italy’s diplomatic relations with India. It featured an incredible programme of film from, and about India – from feature films to comedy and action, alongside documentaries, film shorts and special food and art events. Congratulations to the winners of the River to River Florence Indian Film Festival Audience Awards, which were announced at the closing night ceremony on 11 December. A legal movie based on a true story about the difficult cohabitation between Muslims and Hindus, about the life of a family that was picked on after a terrorist attack. 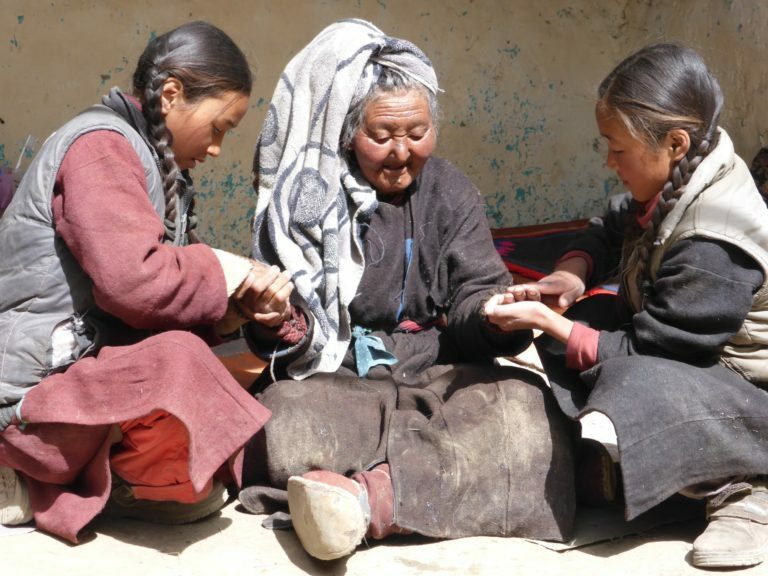 The story of little Padma, a 12-year-old girl living with her little sister in the hamlet of Gya, in Ladakh, 4300 metres up on the Himalayan plateau. An animation about Buddhist monks’ dreams. We were honoured to support the Festival this year. As a family foundation celebrating arts from across Asia, led by a desire to learn, we believe film is an important way to share stories, challenge our thinking, generate debate and inspire creativity. Many congratulations to the Festival Director Selvaggia Velo and her team, and thank you to the filmmakers and audience who took part this year.